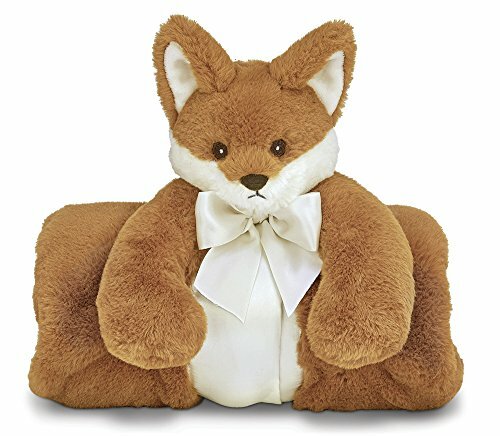 Bearington Baby Fritz Cuddle Me Sleeper, Fox Large Size Security Blanket, 28.5" x 28.5"
Cuddle Me Fritz Stroller Blanket is the perfect blanket for your baby's stroller. Fritz is made from the most luxuriously soft plush and has a velvety soft velour underside, this blanket is sure to be baby's favorite and grow with them well into childhood as a cuddle pal. Bearington Baby Collection, known worldwide for its outstanding quality and award winning designs, gives you the assurance that your gift will be one that is treasured for years. Approved for ages 0 and up. Machine washable.